Phillip Philbeck is known for his outstanding landscapes. A silent, wintry scene offers a glimpse into the past. 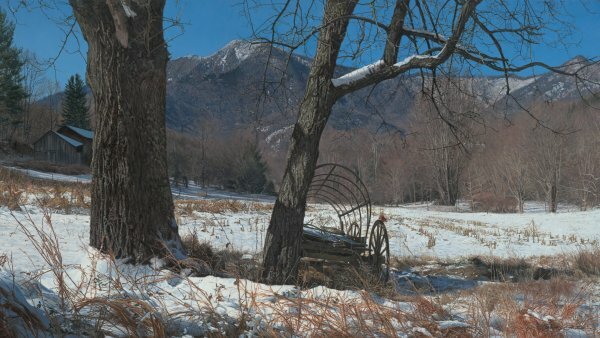 An old barns stands sentinel in the snowy landscpe with a backdrop of majectic mountains, while an abandoned covered wagon has come to rest beside a barren tree. Each of these symbols of earlier times represents a "Relic" of days past.